Felecia Hatcher was leading a successful career spearheading marketing and social media around the country for tech companies like Nintendo, Microsoft and Sony, when she was laid off. The layoff led to her starting a successful altruistic business as an entrepreneur. In 2008 Felecia launched a gourmet popsicle and ice cream company, Feverish Pops, dedicated to sustainability and innovation. She donated a portion of each popsicle sold to charity and used the funding to start youth entrepreneurship community programs. Felecia could have remained content savoring her sweet success, selling ice cream to big-name clients such as Google, Forever 21 and Vitamin Water, but she was compelled to take it a step further. “We all stand on the shoulders of giants,” Felecia said. 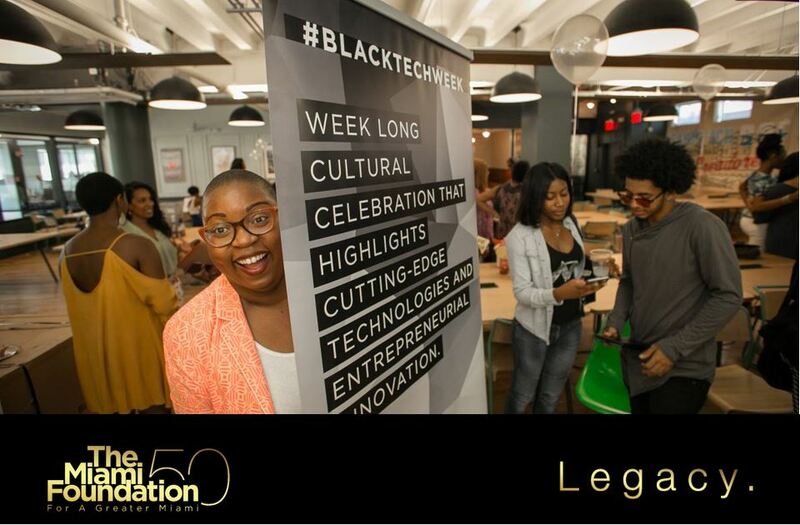 “I would not be here today if it were not for those who poured their time and energy into me over the years.” That attitude propelled Felecia from “chief popsicle” of Feverish to co-founder of Code Fever and BlackTech Week, using funding from Knight Foundation to bring Miami’s explosive tech start-up growth into communities of color. This bold vision made Hatcher the 2015 recipient of The Miami Foundation’s Ruth Shack Leadership Award. As part of The Miami Foundation’s mission to position emerging leaders for tackling the broader issues facing Miami-Dade County, the award recognizes leaders under the age of 40 who reflect ethical leadership, dedication and service to Greater Miami, much like the Foundation’s president emeritus, Ruth Shack, for whom the award is named. Greater Miami’s rising leadership landscape is filled with changemakers like Felecia. Vance Aloupis, 2016 Ruth Shack Award honoree, is working to ensure a brighter future for Florida’s children as CEO of The Children’s Movement of Florida. Like Ruth did for human rights throughout her career, he has turned his passion into a crusade pushing for greater investment in early education and children. Nominations for the 2017 Ruth Shack Leadership Award are due February 16 at 4 p.m. For questions, please contact Jordan De Leon, senior programs assistant. Jessica Rodriguez is a journalist and editor, writing on topics related to civic issues.